At Knight Furniture you will find an old fashion spirit of pride and quality craftsmanship with Mayo Furniture. Mayo was founded in 1965 by the Mayo family and has been owned and operated ever since. Made in the USA, Mayo has a full product line of fabric, leather, leather-fabric sofas loveseats, chairs, ottomans and sectionals. Mayo is continuously looking for ways to improve product and doesn't believe in cutting corners or skimping on quality components with the goal of providing the best value in upholstered furniture in the marketplace. 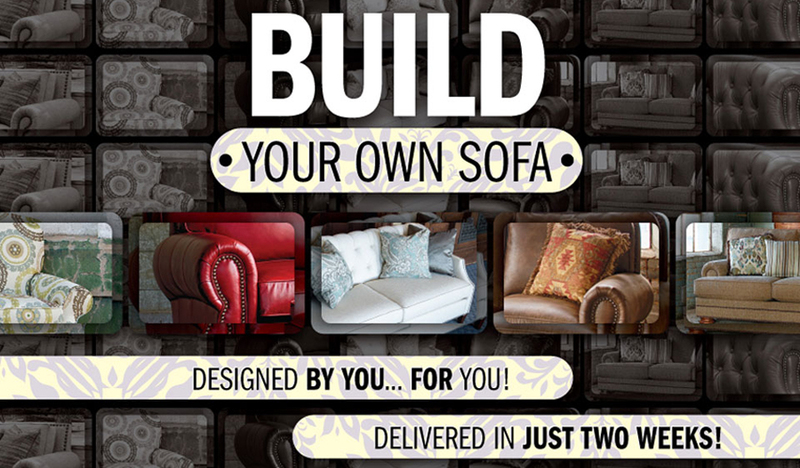 Be your own designer and create the sofa of your dreams at Knight Furniture. With thousands of options to choose from, you can create a sofa designed by you, for you. Mayo furniture offers a wide variety of styles you can choose from to perfectly pair with your lifestyle. From fringe to fabric, to shape and style and even down to the color of the wood trim, there are endless possibilities. The best part is no need to wait around; your sofa will be delivered to you in just two weeks! 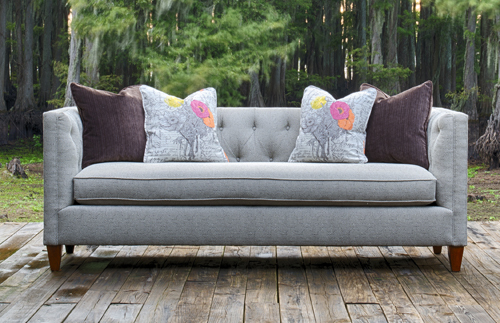 Stop in for details and start designing your sofa today!